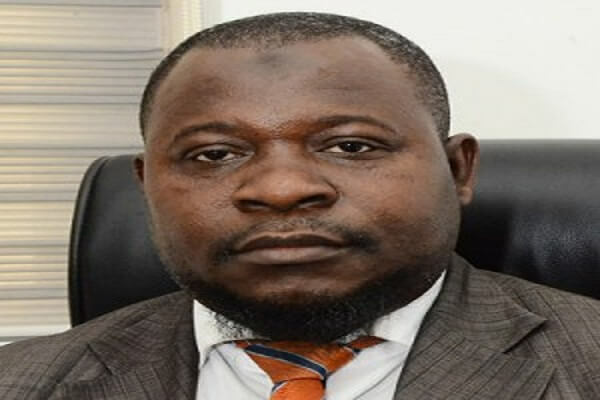 Dr. Said Boakye, a Senior Research Fellow at the Institute for Fiscal Studies (IFS) has said that from all indications, it appears that the Cedi`s free fall is a deliberate policy from Bank of Ghana (BoG) in its bid to ensure that Ghana meets IMF (International Monetary Fund) conditionalities under the IMF programme. “In the short term, the Cedi depreciation is a deliberate policy from the Bank of Ghana… The solution is clear, but it won’t be simple,” Dr. Boakye noted. He said this during a panel discussion at the Cedi Forum held on Thursday, 13 September 2018 at the Economics Department of the University of Ghana. Dr. Said`s assertion was rebutted by Mr. Stephen Opata, the head of Financial Markets and Treasury at BoG. He noted that the Bank of Ghana will do no such thing and insisted that nowhere in the Memorandum of Understanding (MoU) signed under the IMF Programme spells out such a conditionality, acknowledging that the MoU is a public document, and that anyone could verify. Speaking on the fundamentals of the economy, Mr. Opata stated that Ghana`s economic fundamentals are solid and that all the economic indicators were pointing towards toward the right direction. “According to our analysis this currency is well aligned. We’re not too strong and not too weak. We’ve had a good year and based on the fundamentals, we were expecting to have a better year until recently,” he noted. He indicated that the Cedi`s depreciation had not reached a depressing level and thus should not be a cause for alarm. The head of Financial Markets and Treasury at BoG further noted that Cedi depreciation is largely due to external factors including trade wars between America and Japan. He was of the view that the Cedi will experience a recovery soon since the bank of Ghana is doing all the right things including pumping 200 million dollars into the banking sector. “We’re providing liquidity to the banking systems to meet the shocks… We’re trying to ensure that there is a lot of liquidity in the banking system. The shocks will come, but the BoG will always be there to manage it. The important thing is to make the economy attractive, Mr. Opata stated. Dr. Said corroborated Mr. Opata`s assertion regarding the soon recovery of the Cedi, noting that Cedi’s challenges would ease quickly and that no one should worry about a possible meltdown of the economy as a result of the free fall of the Cedi. The Ghana cedi in recent times has depreciated marginally against major international currencies, especially the US dollar, much to the discomfort of the business community in Ghana. The Ghana Cedi currently trades on the interbank market at ȼ4.94 to $1, and sells at ȼ5 on the black market. This translates into a rising cost of doing business in Ghana, especially for exporters, importers and automobile spare parts traders. For the spare parts dealers for instance, the continual changes in exchange rates compels them to increase prices of their goods, else they run into losses. Consumers in need of these products will necessarily have to purchase such products at exorbitant prices. The maiden edition of The Cedi Forum was themed “Ghana`s depressing Cedi depreciation: How do we stem the tide?” Panel members for the event included Mr. Ken Thompson, CEO – Dalex Finance; Dr. Eric Osei-Assibey, Senior lecturer – Department of Economics, University of Ghana; Dr. Said Boakye, Senior Research Fellow – Institute of Fiscal Studies; Dr. Priscilla Twumasi-Baffour, senior lecturer – Department of Economics, University of Ghana; Mr. Stephen Opata, head of financial markets and treasury – Bank of Ghana and Dr. Joseph Obeng, president of GUTA. It was moderated by Raymond Acquah of Joy News, Multimedia Group Ltd.